Dubai, UAE - 3 February 2019: Mazoon Dairy Company, the flagship dairy project of the Sultanate of Oman, has marked a significant milestone in the agricultural and economic development of Oman with the arrival of 1,600 cows from Australia to the state-of-the-art dairy farm in Al Sunaynah. 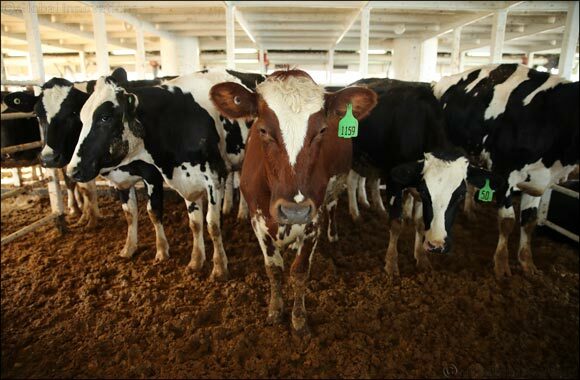 The cows will breathe life into Mazoon Dairy’s 15 square kilometre fully-integrated farm, centralized processing plant and other facilities in Al Sunaynah and will help meet the market demand for high-quality, fresh dairy products. These are the first of 8,250 cows expected to be imported by 2020. Production is planned to commence in the second quarter of this year with the objective to produce over 200 million litres of milk annually by 2026, and to increase capacity to over 900 million litres by 2040. Once operational this year, Mazoon Dairy Company will provide quality home-produced dairy and juice products, including milk, yoghurt, laban, fresh cream, cheese and ice cream. Mazoon Dairy Company is one of the largest projects in the Sultanate, with investments from the Oman Food Investment Company, the Oman Investment Fund, Oman Dairy Products and Derivatives, the Civil Service Pension Fund, Al Hosn Investment Company and the Royal Office Pension Fund. Previous Story : Game Changing: The Brambles Avocado Pizza!